Social Networking Icon Vector Pack made in Illustrator CS4. In this pack you can find vector logos, such as: vector flickr, vector wordpress logo, AIM, bebo, deviant art, twitter, facebook, iChat, skype , myspace, picassa, stumbleupon, vimeo, last.fm, bebo, digg, tumblr. Enjoy !!! Set of 28 vector grunge social icons in eps vector format, that you can use them on your web site. Social icons set – the shiny surfaces have been stripped back and the edges roughened for a grungy, hand drawn look. 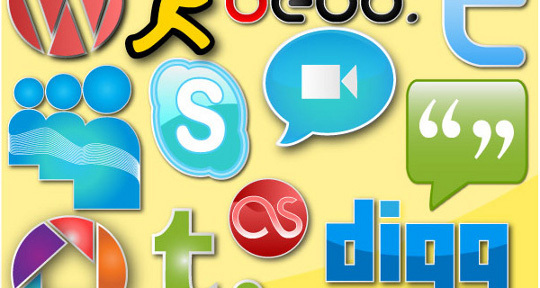 This icon set consists of 30 (16×16) finely crafted social media icons. Put them on your blog or on your website to help users bookmark or share your site socially. Nice social mini icons in ico and png format. Enjoy ! !